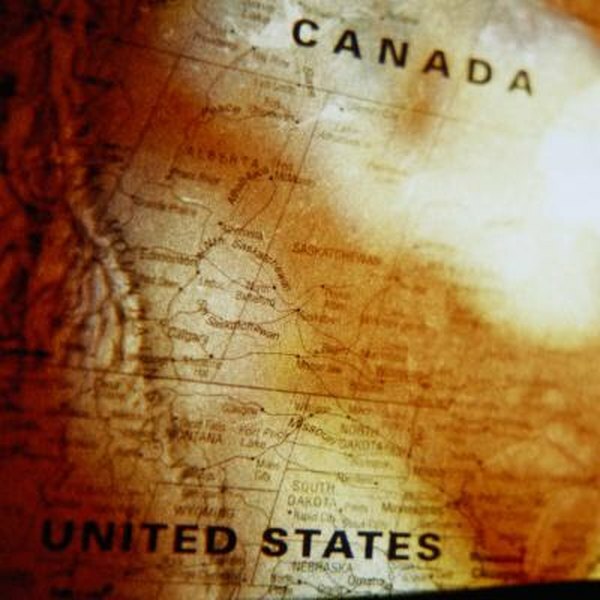 A U.S.-Canada Tax Treaty aims to avoid double taxation of U.S. and Canadian citizens. 2. Do Citizens of the United States Pay Income Tax on All the Money They Earn? 3. Do I Pay Income Tax on Foreign Stock When Sold? A Registered Retirement Savings Plan is a Canadian trust plan for deferring taxes on income until retirement. It offers advantages similar to an IRA. Money invested in an RRSP goes untaxed until it is withdrawn. Any further income from the assets held in the RRSP is also untaxed until withdrawn. For those residing in the U.S. at the time of withdrawal, taxes are due in both countries. Internal Revenue Service Form 597, "Information on the United States-Canada Income Tax Treaty," describes the U.S. taxation rules governing income earned in Canada, whether by U.S. citizens or by Canadian citizens living in the U.S. It includes information on taxation of withdrawals from RRSP plans. The IRS considers income that accrues in RRSPs to be subject to U.S. income taxation even if it has not been distributed. However, a U.S. citizen or Canadian citizen who is resident in the U.S. can elect to defer income until it is distributed, using IRS form 8891 to make the election. In most cases, qualifying holders of RRSPs will elect to defer until the income is distributed, normally in retirement. The intent of the treaty is to avoid double taxation. In principle, any taxes paid in Canada are exempt from subsequent taxation in the U.S. In practice, when you withdraw from an RRSP, the withdrawal is taxed by the Canadian government. When you declare the withdrawal on your U.S. tax form, you deduct a "foreign tax credit" in the same amount. In some circumstances the Canadian tax will be 25 percent of the withdrawal. In other cases, the rate is 15 percent. Usually this result from assets in an RRSP being converted at retirement to an RRIF annuity, which enjoys the lower tax rate provided that the money is periodically withdrawn. With your return, you also must file IRS Form 8833, "Treaty-Based Return Position Disclosure Under Section 6114 or 7701(b)," which declares that any U.S. tax that would otherwise be due is overruled by the treaty. The IRS also allows you to withdraw from your RRSP the cost basis of certain assets within it. For example, say you have a mortgage-based asset in the RRSP for which you paid $100,000 on which Canadian income taxes were previously paid. The total value of the RRSP is $400,000, half of which is the present value of the mortgage-based asset. If you withdraw $1,000 from the RRSP -- subject to special rules and foreign exchange adjustments -- $250 is exempt from taxes, since 25 percent of the assets in the RRSP are cost-basis contributions. Regarding taxation of withdrawals, consult an accountant familiar with IRS and Canadian tax law. Gedeon Law & CPA: Do I Pay U.S. Taxes on My RRSP Withdrawal? What Is the Punishment for Pulling Money Out of an IRA Early?